A unique trade show exclusively for independent retailers held twice a year at Cranmore Park Exhibition Centre in Solihull. Hosted by buying group AIS, it’s curated specifically for Housewares retailers within the independent sector, attracting buyers from department stores and shops all across the UK and Ireland and featuring ranges across categories such as Cookshop, Tabletop and SDA. The show will open it’s doors to all on 14th August following an exclusive Member only day. 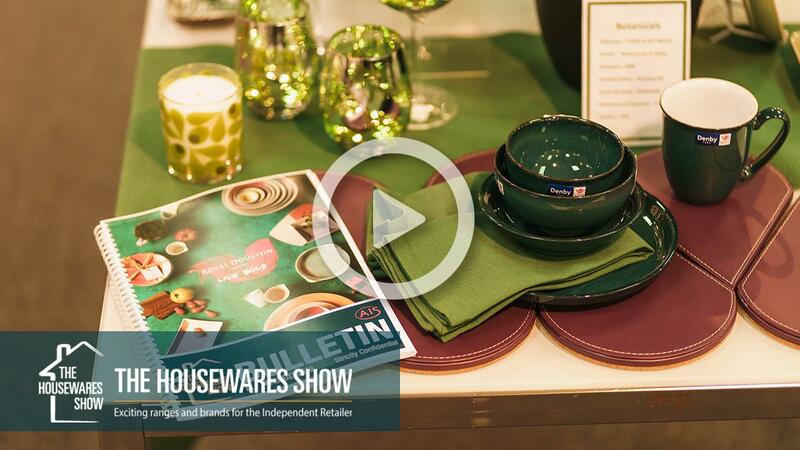 The Housewares show is proud to be supported by industry leaders and established names as well as being dedicated to providing a platform for smaller emerging brands.